Skype is a freemium voice-over-IP service and instant messaging client used by very many people from all over the world. In 2013, Skype celebrated its remarkable event indicated that Skype users are spending more than 2 billion minutes connecting with each other per day. 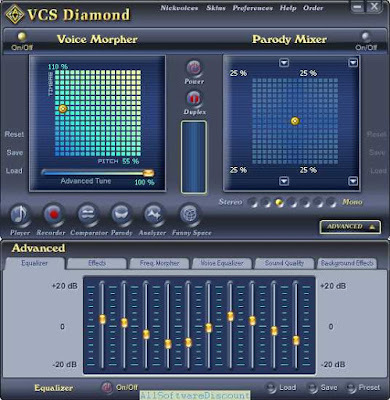 In this post, again I will walk you through the mission of creating and using a so-called 'my Skype voice changer software' for changing voice during Skype calls by mixing up with AV Voice Changer Software 8.0 Diamond's Virtual Audio Device. Latest version of Skype (for Windows) downloaded & installed. A good headphone is highly recommended for the Skype calls. From now on, if you want to have your voice changed during Skype calls, you just need to run the AV Voice Changer Software program before joining into the chat room. Buy Full version of the Skype voice changing program (AV Voice Changer Software 8.0 Diamond) now!